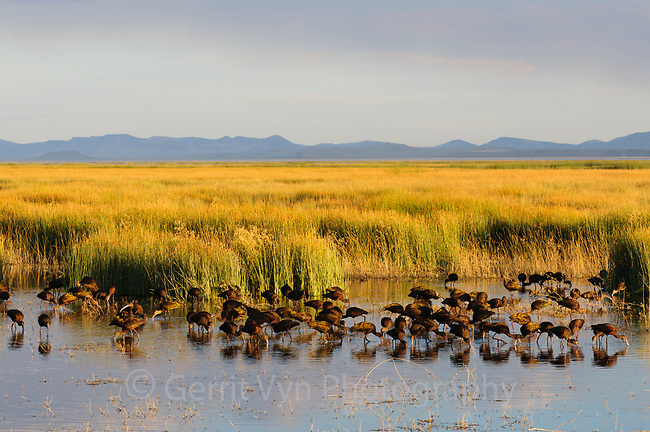 Foraging flock of White-faced Ibis (Plegadis chihi) during fall migration. Malheur County, Oregon. September.